For as little as $100, you can Invest in MySwimPro! I’m very excited to share our Open Public Offering (OPO). For the first time, we are offering stock to the public via Regulation CF. Please visit wefunder.com/myswimpro to learn more about the terms of the offering and read below for more info on our story. Since my early childhood, I developed a great passion for the water. The freedom and enjoyment we experience as swimmers is often hard to describe. 🏊 The feeling of weightlessness in the water is something we often take for granted, but it’s one of the many joys the sport of swimming offers humanity. I’ve recruited a world-class team and we’ve combined our experience as competitive athletes, coaches, and all around swim nerds to create MySwimPro so we can help others achieve their goals and enhance their aquatic journey. Our team is dedicated to creating a digital community that empowers aquatic prowess across the globe. Our community members encourage one another to achieve their full potential. Like our members, our company is in the constant pursuit of self-improvement. We believe that with structured guidance, social interaction, coaching, data and feedback, we can empower people like never before to achieve their dreams. 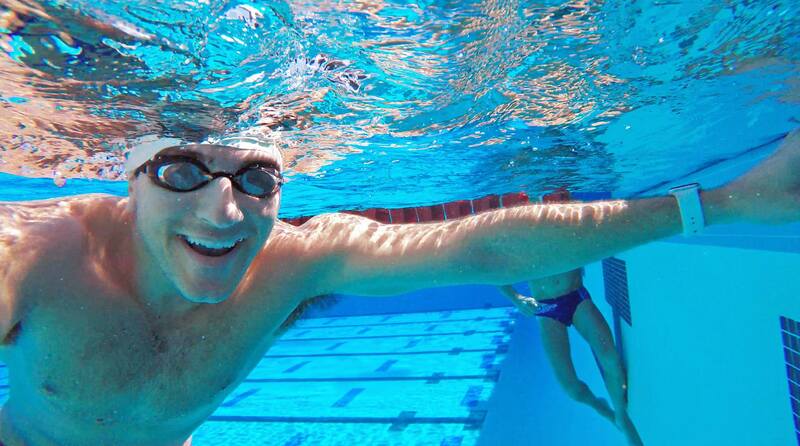 We would like to help swimmers around the world achieve their goals and empower their full aquatic potential. Whether you’re learning how to swim or training to cross the English Channel, our mantra is to empower aquatic prowess for all levels of swimmers. Swimming is one of fastest growing sports in the world, and our community of swimmers and coaches will shape the future of our sport. We’d like to invite our community to be a part of our story by becoming investors in the business. We want partners that love what we’re doing. We’re looking for people who want to connect with us and share their ideas, and want to see this vision come to life. We’d love for you to join us on our journey to help millions of people live happier and healthier lives through swimming. For as little as $100 dollars you can become a future shareholder in MySwimPro and help us accelerate our vision of empowering aquatic prowess across the globe. We’ve helped thousands of people achieve their goals! The success stories we’ve heard from our community are truly incredible and an inspiration to our team; everything from helping people lose weight to crossing the finish line at their very first triathlon. Winning Apple App of the Year was an amazing accomplishment, but hearing the stories of how we’ve helped people recover from knee replacement surgery, or discover the confidence to live their lives to their fullest potential is what motivates us to continue growing our platform. We believe that every person is one day away from their gold medal moment, and we exist to help people achieve their dreams. With your investment, we’ll be able to help millions of people lead happier and healthier lives through swimming.